Here at the Gecko Ranch we understand how important it is for our geckos to have the best experience traveling to their new home with you. Gecko Ranch has been shipping geckos with a high rate of success since 1993 and would like to share with you some of the techniques that result in our geckos arriving safely at their destinations across the continental USA and Alaska. First we start with preparation of special plastic cups with airholes nick-named "deli cups." 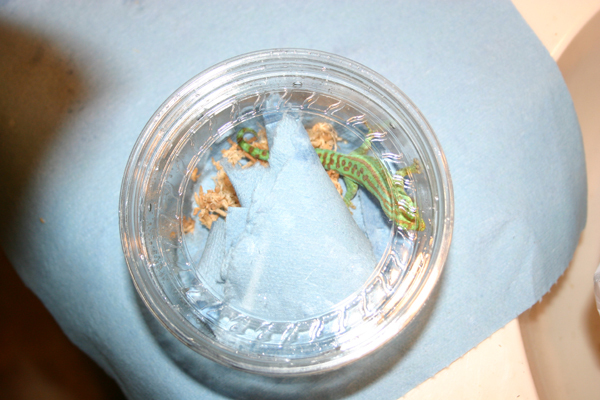 Deli cups are misted lightly or heavily before putting the gecko inside depending on forecasted temperatures for shipping. 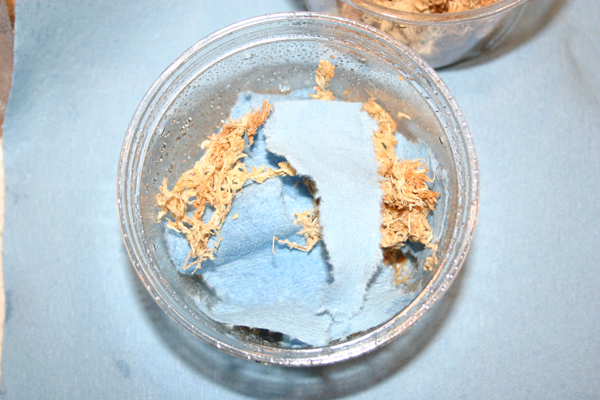 Paper towel strips are used to help cushion the gecko in the cup. 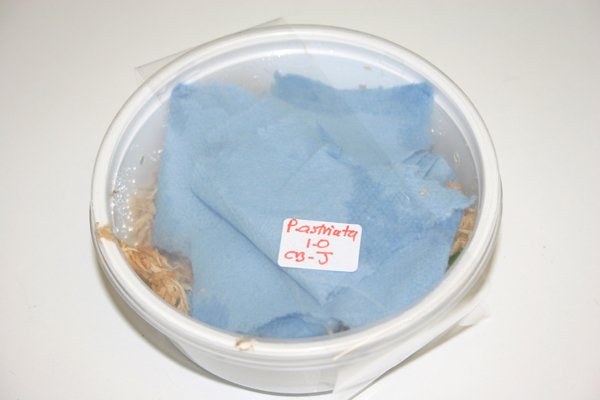 A way to increase moisture in the deli cup for the gecko is to put in some real sphagnum peat moss. 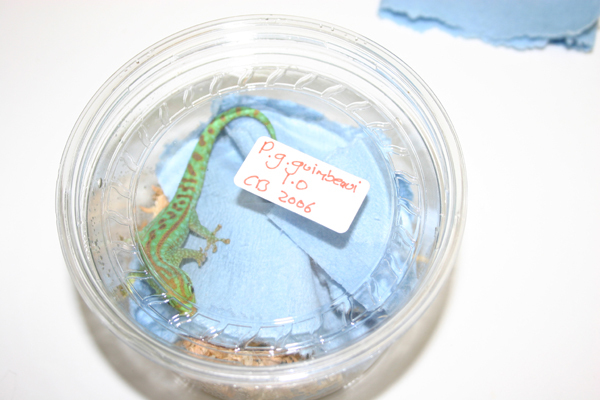 Here are some Day Geckos Phelsuma packed in deli cups ready to go. Note the tape on top, be sure to do this as lids will pop off in the impacts of shipping. Gecko Ranch uses boxes and "deli cups" from Superior Enterprise. 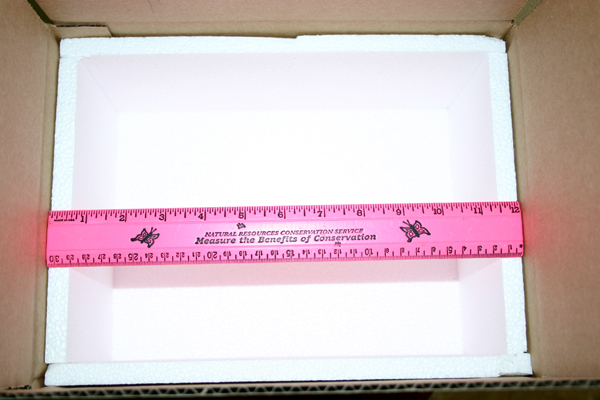 The 12"x9"x6" and 15"x11"x17" boxes with 1/2" foam suit most shipments. 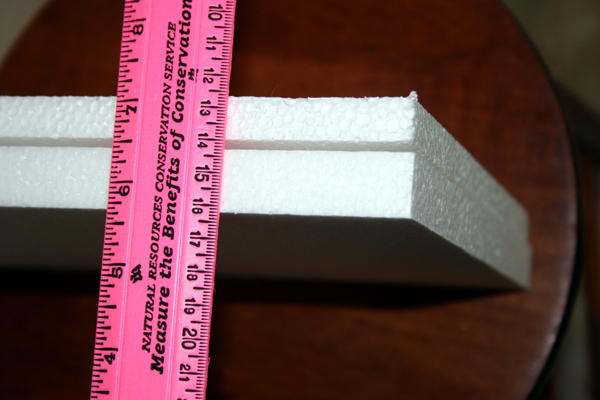 Gecko Ranch switches to 3/4" foam-lined boxes. This foam is a lot thicker than 1/4". 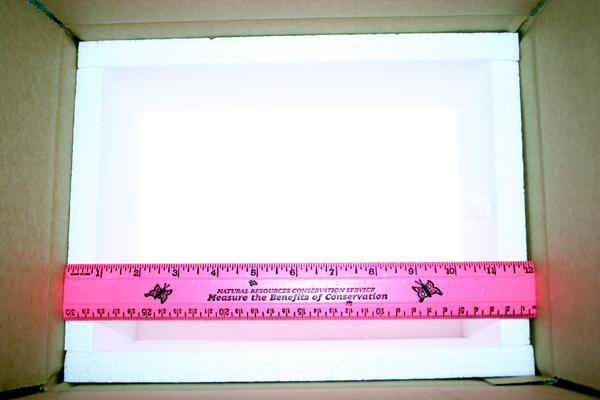 Sometimes early winter shipping is complicated: October and November are often warm (80-90Fs) in late California afternoons at the time the geckos are shipped while points eastward are often quite cool at night (30-40Fs) and early morning at the geckos' destination. Cool overnight shipping temperatures necessitate the use of heat packs. 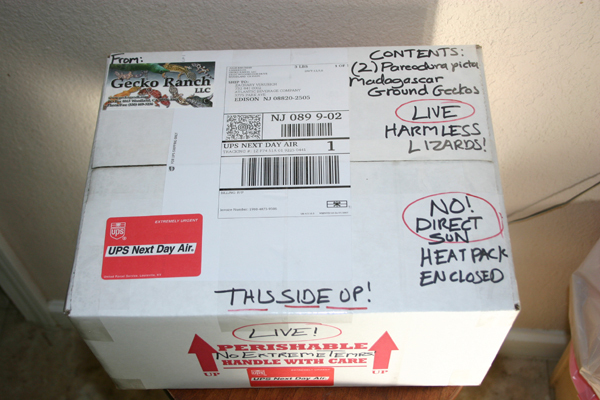 Using a heat pack while the geckos are being transported out of warm California presents a problem that Gecko Ranch has successfully applied a solution. 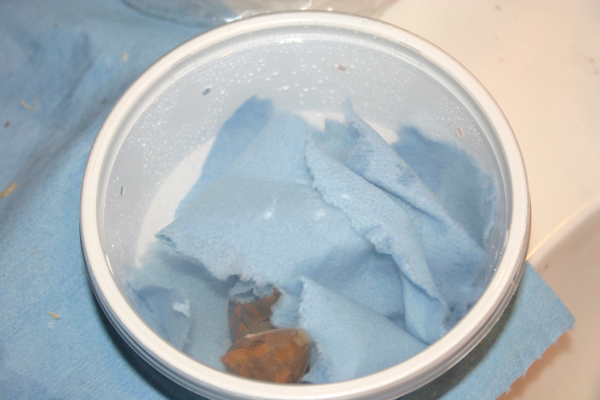 A small ziplock bag with a few ice cubes placed away from the heat pack in the box cools the box down enough for the geckos to safely exit California. 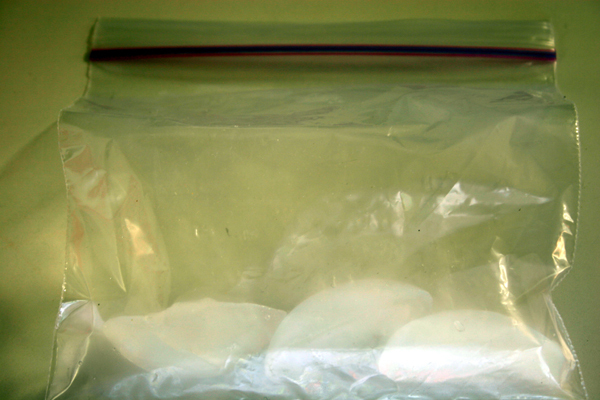 The ice cubes are melted within a couple hours and then become an nice small bag of warm water, helping to keep the geckos warm until they reach their cool destination. For cold winter shipping Gecko Ranch uses 60 hour heat packs by The Heat Source (760-734-5300 x317) These are the superior choice to 30-40 hour heat packs with a longer lasting heat in case of delays. 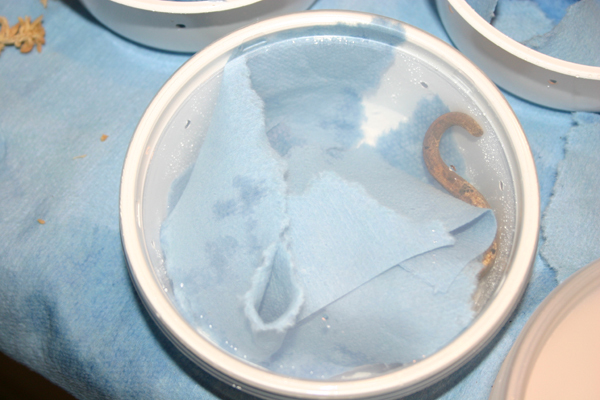 Geckos are kept toasty with 60 hour heat packs putting out well over 100F. These heat packs do not spike with high temps like smaller heat packs, stay steady and fade gradually, still putting out considerable heat after three days. 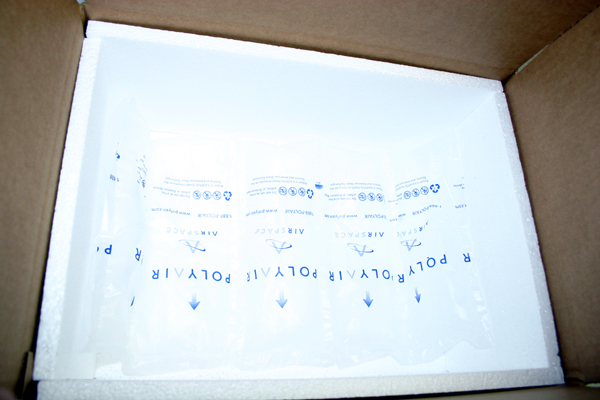 A heat pack is taped to the top inside of the box. 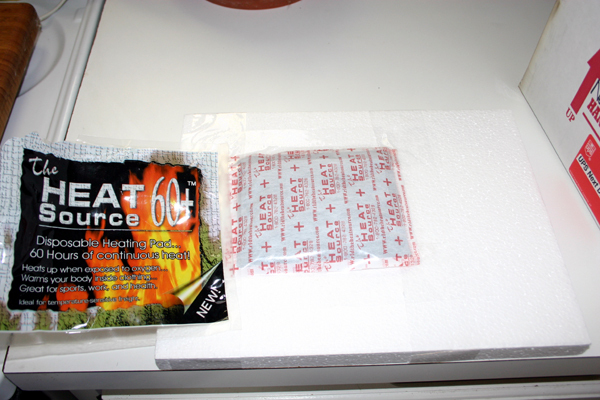 The 60 hour is a heavy heat pack so be sure the tape you use to secure it goes not only on the side of the heat pack, but extends a short way on the top outside of the box. Styrofoam popcorn is packed between the deli cups in cold weather as it retains heat well. 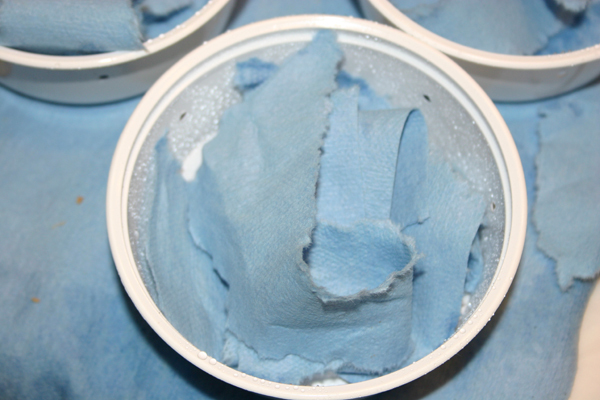 For warm weather shipping Gecko Ranch uses reuseable cold packs from Superior Enterprise. These are placed on the top underside of the box and wrapped in a layer or two of newspaper to keep them from sliding around. 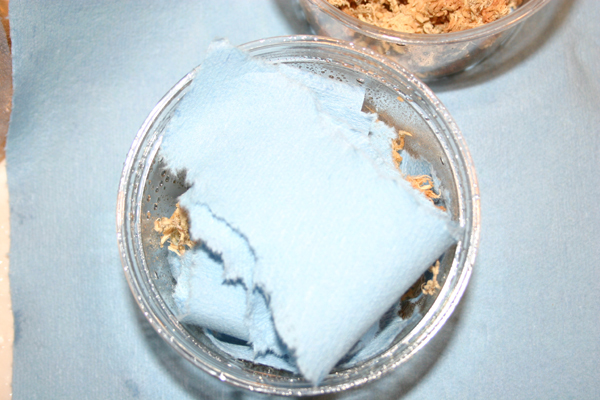 Keep a small layer of insulating material between the cold pack and the geckos. Small cold packs are good if exit temps only are high as the geckos will not be exposed to temps more than an hour or two. 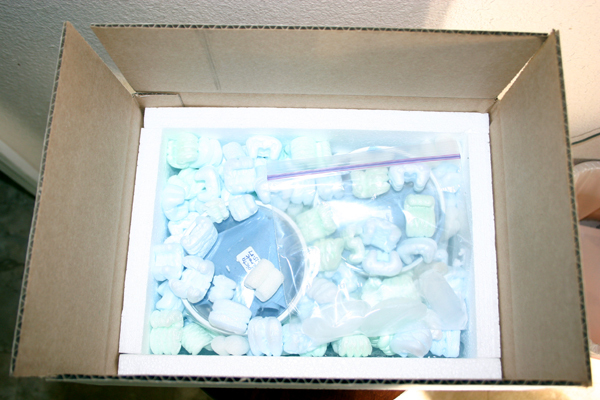 Large cold packs are good if night shipping will be warm or exit temps are extreme or extended more than a few hours. Newspaper is used to pack between deli cups in hot weather as it does not retain heat like styrofoam popcorn. 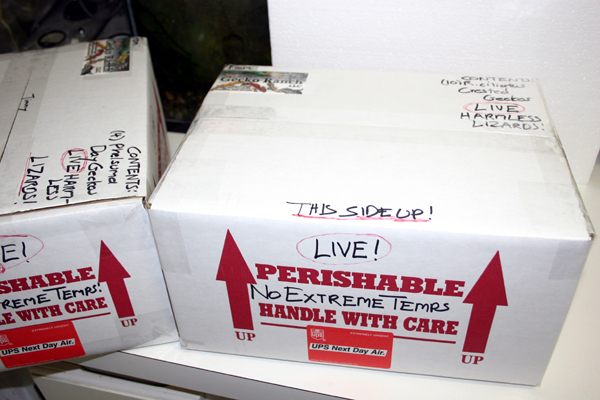 Mastering this aspect of shipping is critical to the safe arrival of the geckos. One needs to know the temperature of the exit location and all the hubs in between as well as the arrival temps. Weather.com is useful in tracking temps hour by hour. UPS offers printable tracking info; this is useful in getting to know where the major and minor hubs are. If one hub or exit/arrival location is below or above temperature parameters the shipment is postponed, no ifs ands or buts. Everyone seems to understand that no-one wants to open the box with the dead gecko in it! 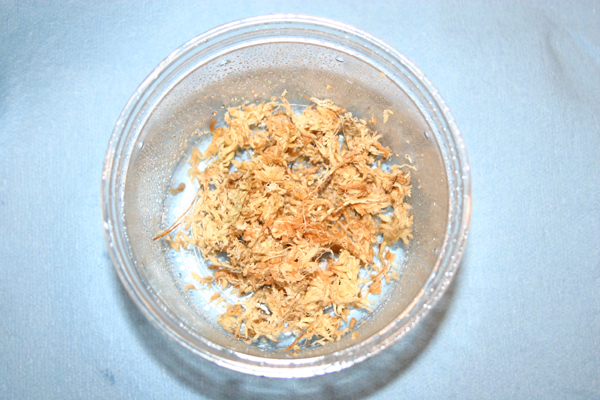 Using Gecko Ranch's packaging techniques, Leopard geckos can be shipped in temps as low as 30F and as high as 90F. Other popular geckos like Crested geckos (R. ciliatus) and Day Geckos can be shipped in a 40F to 90F range. 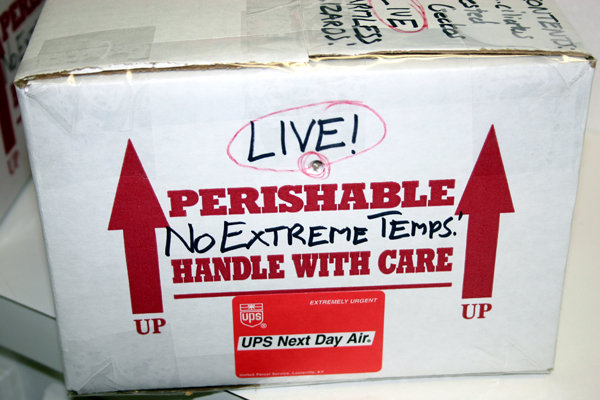 If you are not sure about the temperatures or any other aspect of the shipping process, DO NOT SHIP! Take the time to ask someone experienced about it first when you are learning, and only ship in moderate temps until you are successful in doing that for a while. 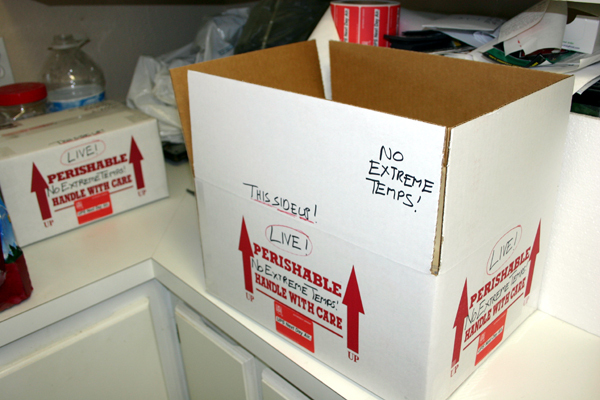 Extreme weather shipping is something you need to work up to! If the geckos cannot be delivered by 10:30am then consider having them arrive at the local shipping hub where they can be picked up by the customer. This becomes even more critical if arrival temps are not gecko friendly. 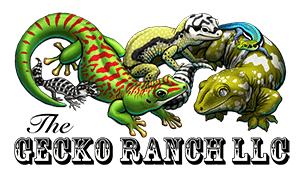 Gecko Ranch has been using Ship Your Reptiles with great success since 2008.